Last night, one of our periodic public safety meetings was held at the Columbus Avenue School. For once, the walking prostitute was not Topic A. Instead, a sitting house represented the newest threat. 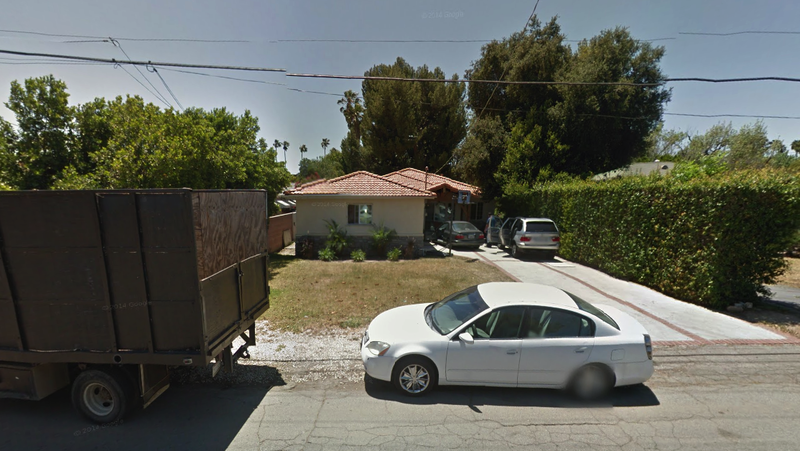 Seems 14926 Kittridge, a pleasant and recently remodeled single-family home, west of Kester, was sold to a group (The Village Family Services) that intends to turn it into a residence for young, troubled people. Nobody in the community was informed. There were no hearings, no forum to stop the project. And now the neighbors were angry. 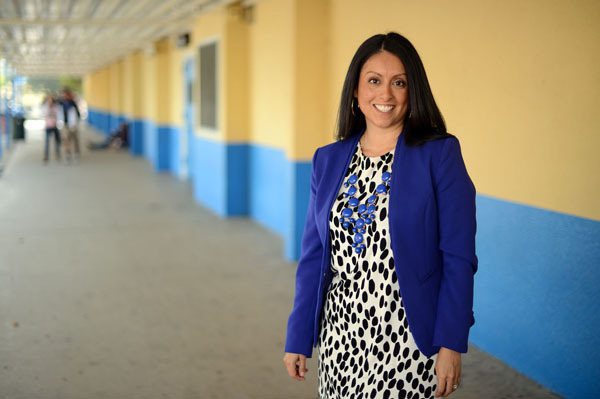 On hand was Councilwoman Nury Martinez’s Asst. Field Deputy, Guillermo Marquez, a pleasant young man in suit and glasses whose unfortunate job involves fielding complaints from every constituent reporting couch dumping, homeless encampments, abandoned houses, illegal sign posting, gang tagging, and now the addition of a troubled youth house in a quiet neighborhood that has enough trouble with troubled adults. Also on hand was Assemblymember Adrin Nazarian (D-CA) who represents something called “46th district, encompassing the central-southern San Fernando Valley in Los Angeles.” I never heard of him or knew I lived inside his kingdom, but apparently he is descended from other important Armenian-Americans having worked for Councilman Paul Krekorian. He represents our district, which includes pushing for the conversion of the Orange Line Busway into the Orange Line Railway. We have a great bus system, with beautiful trees and a beautiful bike path, but it seems it must be turned into a train because not enough cars get hit by buses to make it work. When I asked him about the wretched condition of the center of the San Fernando Valley, the district of Van Nuys, he was at a loss for words. The redevelopment and revitalization of this lost and neglected downtown does not fall under his power. That belongs to “city leaders” not “state senators”. This is where I, bad in math, good in geography, become baffled. Van Nuys is in the state of California. 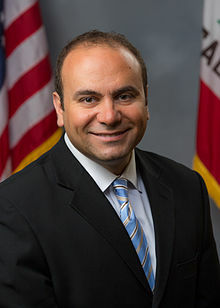 Mr. Nazarian is our state senator. But only for a section of the San Fernando Valley. Which encompasses Van Nuys. He is our Assemblymember. He represents a part of the Valley. He is not the mayor, or the councilman, or a representative, nor does he fly to Washington. But apparently he is someone in elected office who works upon our behalf. Van Nuys Boulevard: Jewel of the San Fernando Valley. Then we heard from one of the best speakers of the night: Senior LAPD Lead Officer Erika Kirk in the Van Nuys Division. Shiny, smooth, combed dark hair pinned up, about 30, compact and well-spoken, gleaming silver badge and pressed navy uniform, she reviewed all the small bad things going on around us: kids hanging out in cars smoking pot and throwing beer bottles out the window, the empty dark house at 15102 Hamlin owned by Kathy Jo Bauer and a frequent location for crime, a falling down fence at Haynes and Columbus, negligent property owners who tolerate illegal dumping at the Casa Loma College. Most of these situations have gone on for five or more years. They are intractable and confounding. But she assured us she is working to resolve them. 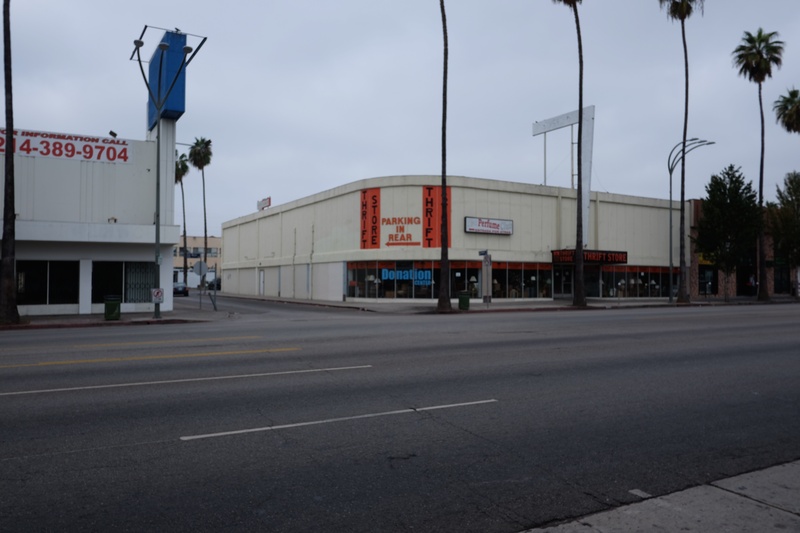 But what can one say, for example, about a continually littered and neglected mini-mall at 14851 Victory, owned by a wealthy Bel Air man, Ori B. Fogel, who cannot even hire someone to sweep the curb in front of his stores? Until the day comes when the errant slumlord gets a $10,000 fine, or the woman who refuses to clean up her abandoned houses faces $75,000 in criminal negligence, the property criminals will do what they have always done, milking and neglecting while earning money even as the community of Van Nuys suffers. I wonder if there’ll be any official representatives from our district there, shmoozing & representing our interests…like the sad nightmare that is Van Nuys Boulevard between Oxnard and Sherman Wy. Thank you Norah. There are many progressive plans LA is considering or enacting. Outside of Van Nuys. I did not even hear of the meeting. What is going to happen with the halfway house. We just finally recovered from the school for youths in trouble…was there any discussion for us to fight this. Are you on the FB Kesteridge page? We had abiout a one day advanced warning. A flyer was put in my front door.